WARSAW – The Warsaw Community High School athletic office has begun selling IHSAA football sectional tickets today in the athletic office. 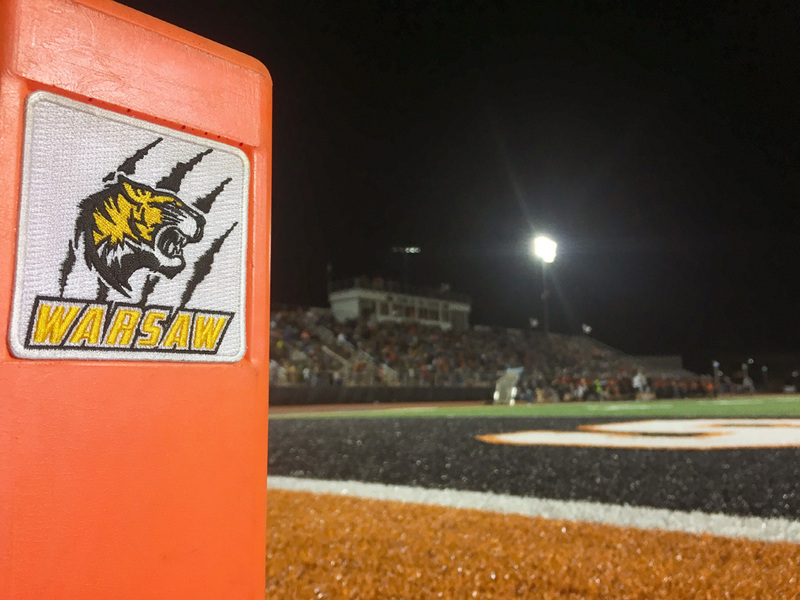 Warsaw (7-2) will travel to Penn (7-2) in the first round of the Class 6-A tournament on Friday, Oct. 26. Kick-off at Freed Field is set for 7 p.m. Chesterton and Valparaiso meet in the other sectional opening-round matchup. The winners will meet the following Friday for the sectional title, the site yet to be determined. Tickets are $6 and can be purchased between 7:30 a.m. and 3:30 p.m. and are available until Thursday, Oct. 25, at 3:30 p.m.
Tiger Athletics is also selling short and long sleeve T-shirts as well, which are available at the athletic office. Stop in to see the selection.